Mei: 砂川正矩作 Sunagawa Masanori saku. PRICE: 450USD including worldwide shipping and insurance. Masanori was 4th (mid 19ct.) generation of Sunawaga school makers. He was active during the Bakumatsu era. The sunagawa school and Masanori himself are not unknown names. 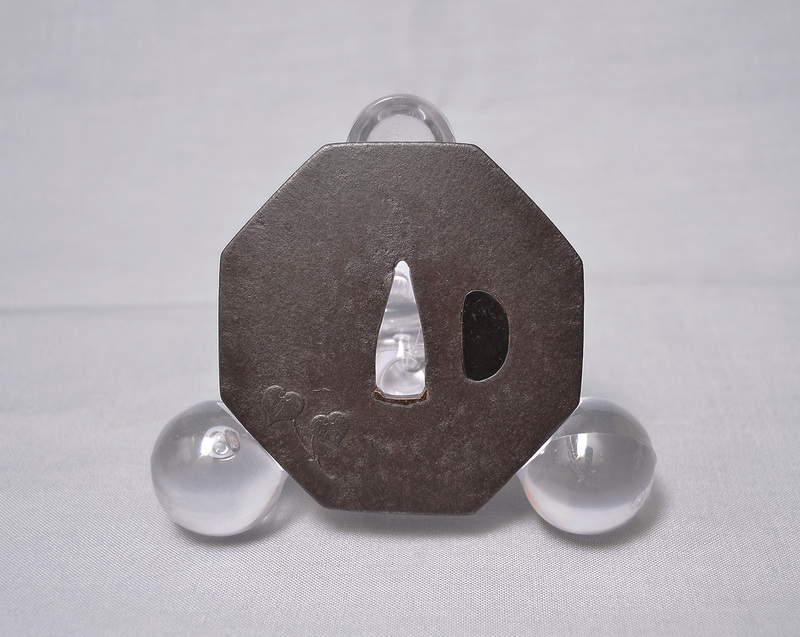 Two of his tsuba possesses Museum of Fine Arts Boston. 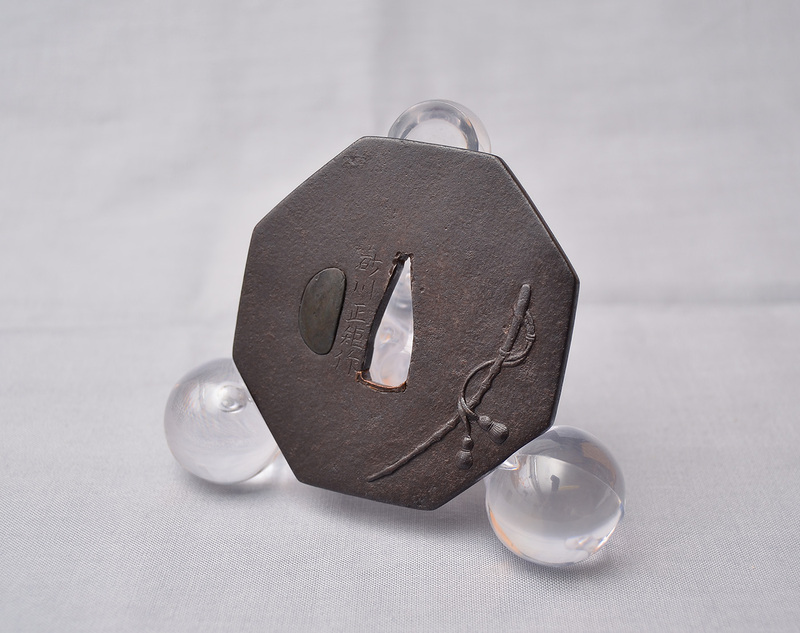 This tsuba is not interesting due fancy decoration or demonstraton of skill of the maker because the decoration is rather minimalist, but well executed, though. 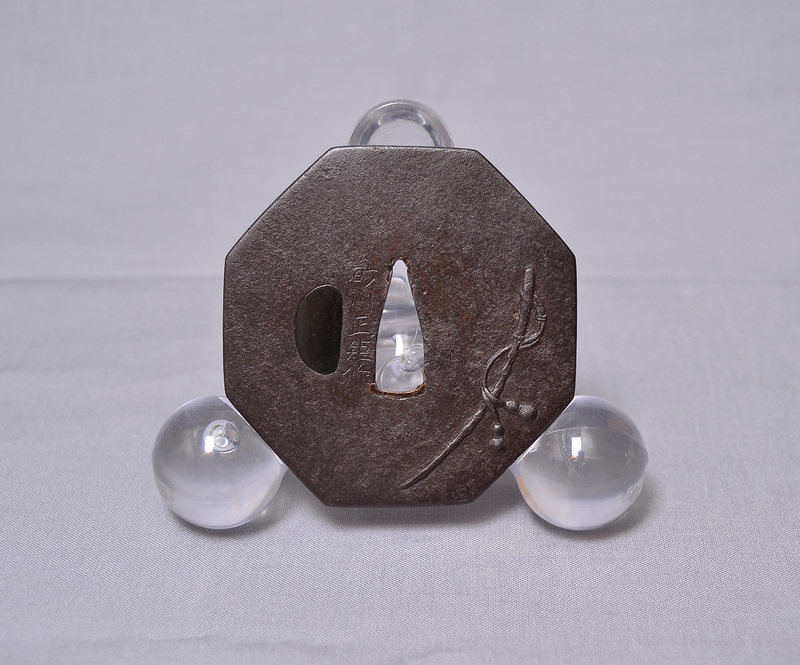 On the omote side is a horsewhip and on the ura aoi (hollyhock) leaves, the symbol of Tokugawa family during edo period. If we look closer its spirit perfectly represents or reflects the Bakumatsu era. The end of the Tokugawa Shogunate era was marked by rapid changes. The financial and social crisis has deepened despite Shogunate’s efforts to reform but had unfortunately the opposite effect. The internal disintegration of the system that prevented itself from making changes led to the inevitable end that was accelerated by landing of American ships that forced the opening of the country. A conflict between the Shogun’s followers and advocates of open country, and progress trembled with Japanese society. Changes were rapid and samurais weren’t ready to understand them in context of time. 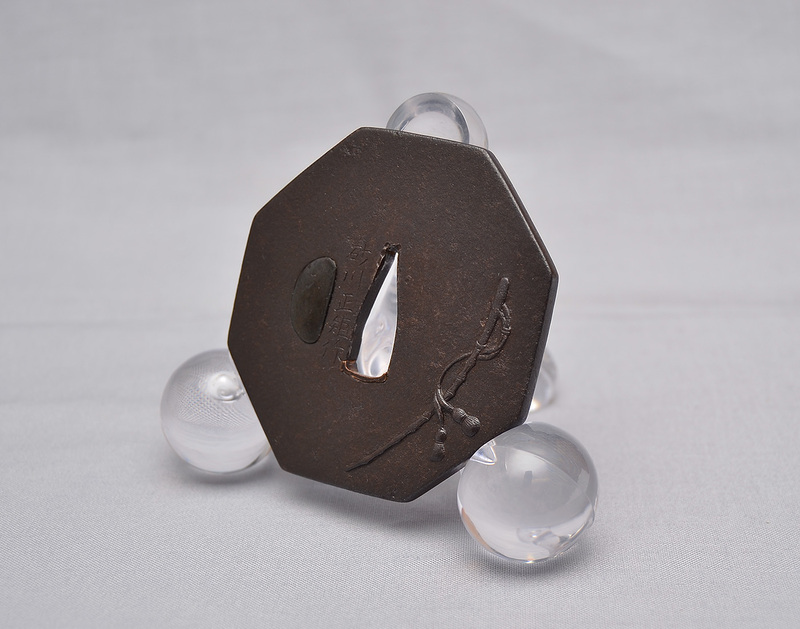 The tsuba was mounted and the motif is obviously pro-shogunate. We can feel a certain nostalgia for the old order in the midst of the chaos of Bakumatsu. 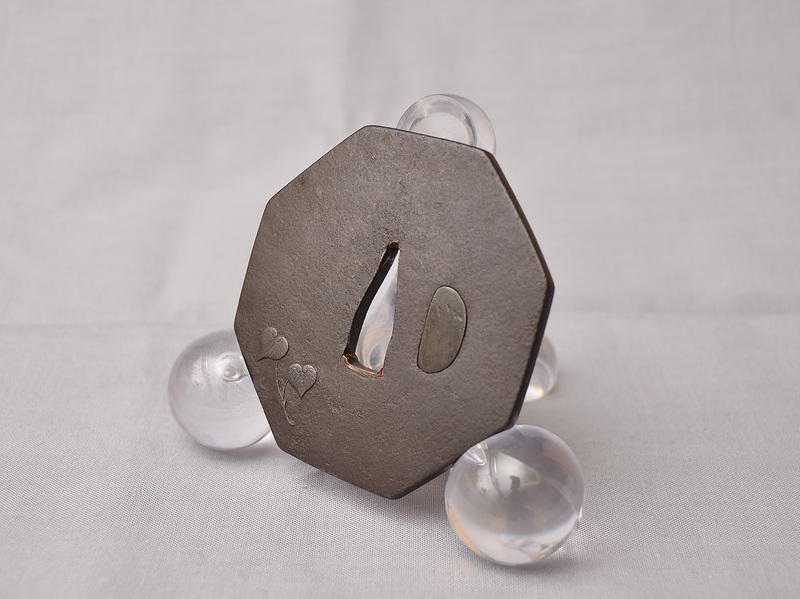 But we can only guess feelings and thoughts of a person who carried a sword with this tsuba.